Not that there were summing mixers in the 70's but these days this mixer would be referred to as a summing mixer. This model was still being manufactured when I first started selling Trident consoles in the 1970's when I placed a standing order with Trident for one Series 80 console per month. The Fleximix is recognised as having a distinctive sound and is widely respected by mix engineers. It has transformer balanced mic inputs, line inputs, insert sends and returns on separate jack sockets plus direct outputs and a stereo mix output. It comes with a custom made external power supply which also provides 48v for phantom power. This mixer has 12 mic/line input modules and 2 group outputs ( providing stereo mix output ) plus 1 blank module. 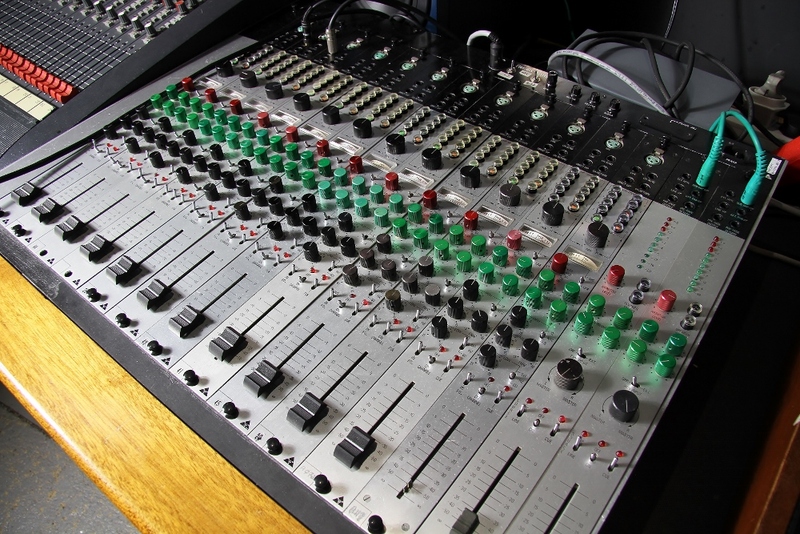 There is no master module fitted to this console so the 4 aux buses cannot be used at present - however if you would like to use the aux sends from the mixer rather than the aux sends on your DAW aux master pots and outputs can be fitted to the blank module at the additional cost of £ 500.